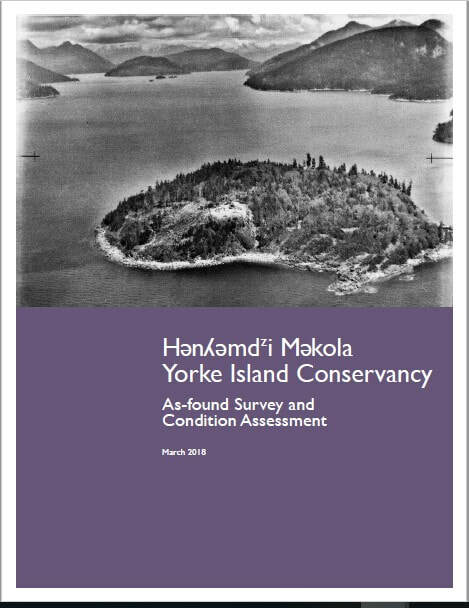 The final report for the Yorke Island Conservation BC Parks Heritage Handbook ​Project has been forwarded to the BC Museums Association for their approval. The Vancouver Artillery Association worked with BC Parks to apply for funding to complete the enclosed documents that will ensure the future stability of the artillery fortifications that remain on the island. 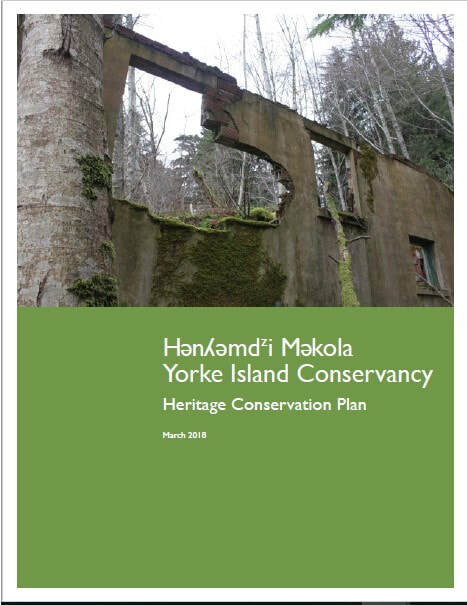 The Yorke Island Conservation BC Parks Heritage Handbook ​Project consisted of the planning, interpretation and rehabilitation including emergency stabilization and improved public access and safety associated with World War II structures at Yorke Island Conservancy, and included the development of a BC Parks Heritage Legacy Handbook - a guide for best practice in management of heritage assets in British Columbia’s protected areas. This phase of the Yorke Island Conservation project lays the framework for future involvement of the local community and other groups. Unfortunately, the planning process is not one that involves significant numbers of visitors nor does it require a large volunteer support base. One could justifiably state that the effects of the project served the local surrounding population of approximately 500 people. At the present time, approximately 300 people visit Yorke Island Conservancy each year. This number is expected to grow in time and the outcomes from this early planning work will be evident in years to come as elements are implemented. 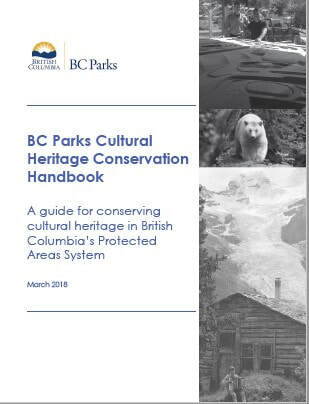 Once implemented by BC Parks staff and partners, the Heritage Conservation Handbook developed through this grant has the potential to greatly facilitate heritage conservation at sites throughout the provincial protected areas system. The Yorke Island Heritage Conservation project has attracted the support of other governmental agencies including time donated by the 192 Construction Engineering Flight to assist in the emergency stabilization of the fortifications. 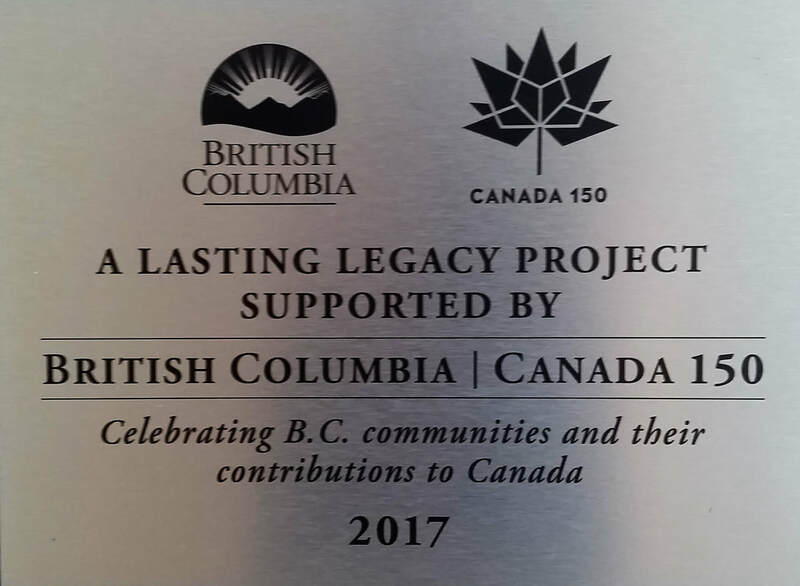 BC Heritage and BC Parks both provided financial support for the project and BC Highways installed new signage highlighting Yorke Island. The representatives of local community organizations in Sayward also participated in information sessions and have indicated an interest in exploring possible partnerships in the future. The Vancouver Artillery Association and BC Parks are also exploring opportunities to further develop our partnership. ​The project provided much of the documentation that will be required by BC Parks to create a lasting legacy of the Artillery veterans that protected the Westcoast shores of Canada during the Second World War. It cemented Yorke Island as a key cornerstone of the Vancouver Artillery Association’s raison d'être and has advanced discussions with BC Parks for the future management plan of the Island. ​The impact of the Yorke Island project and the BC Parks Heritage Handbook is considerable. This completed documentation will result in increased tourism and local employment, as well as a visitor experience that includes cultural awareness, and educational and recreational opportunities. It will be a unique part of B.C.’s protected areas system in perpetuity. Partnerships are of considerable importance to the management of parks in B.C. The document recommends guidelines and methods for the engagement and cooperation with community groups, volunteers and other partners, including other government agencies and can be applied to historic sites across the province and nationally. The Vancouver Artillery Association would like to thank all the contributors that made this project possible: BC Museums Association, BC Parks, Ross Keller - Honorary Battery Commander, the members of the 85VICS, local residents of Sayward BC, The 15th Field Artillery Regiment RCA, The 15th Field Artillery Regiment Museum and Archives, Heritageworks and Denise Cook Design.